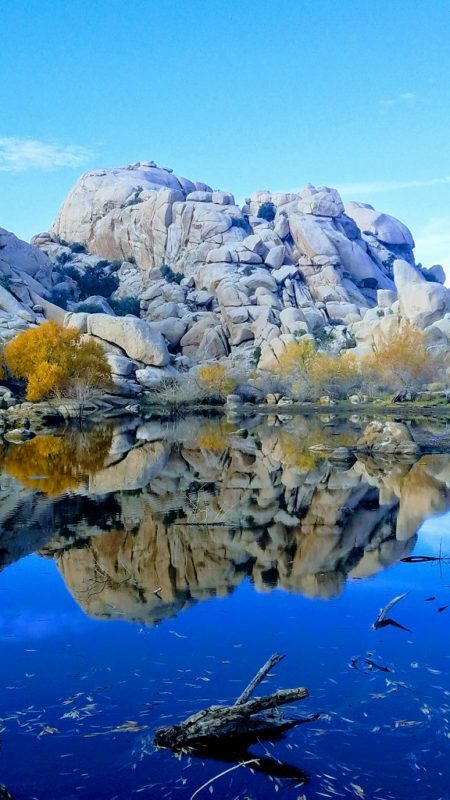 Without a doubt, Joshua Tree National Park oozes desert charm. As a result, a smattering of interesting communities have sprung up around it, all of which have their take on desert flavor. 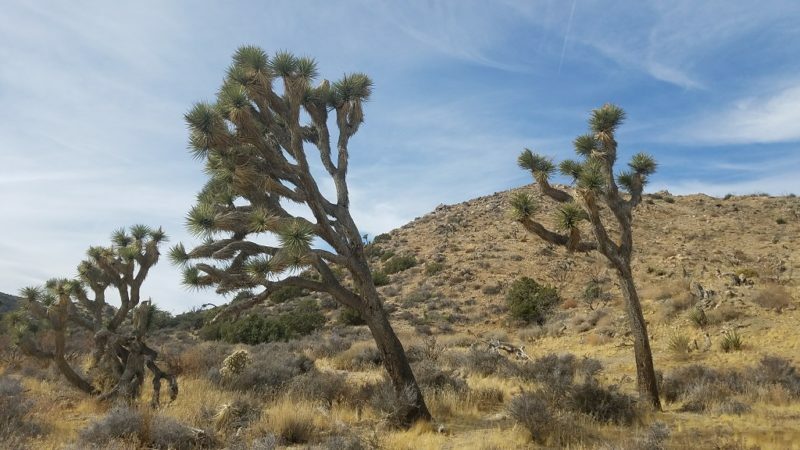 Joshua Tree lies two hours east of Los Angeles and less than an hour east of Palm Springs. It has become an outpost for city dwellers yearning to escape for a weekend of desert charm in Joshua Tree. And of course there are the permanent residents who live in nearby towns. They have their own vibrant communities and cultural activities. 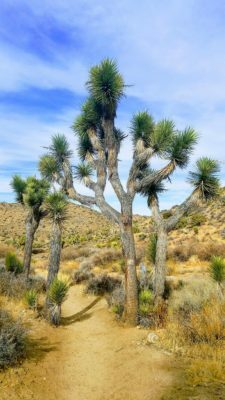 So, as you drive around the Joshua Tree region, make sure to dip your toes into some unusually charming desert experiences. Here are some to get your started, in no particular order. There is no shortage of spas in health-conscious Southern California. So why not indulge while you are here? There are dozens of them in Palm Springs, although other than the airport, I spent no time there. Many are associated with a hotel, so if you are staying in one, that’s a good place to start. 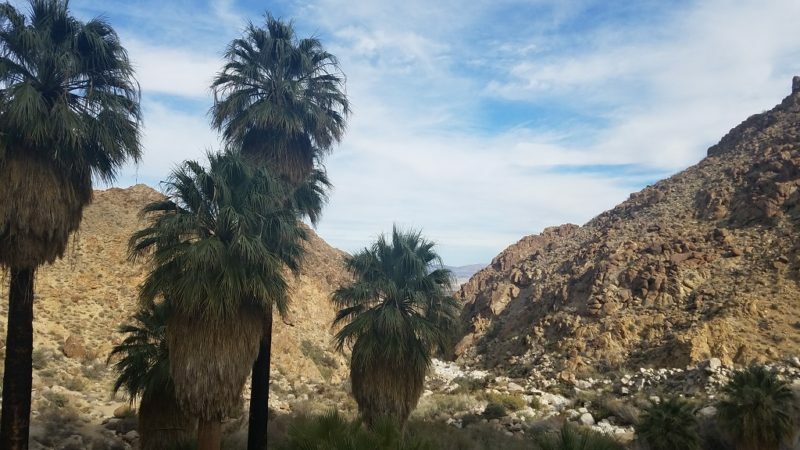 Desert Hot Springs is only a 20 minute drive miles from Palm Springs and 35 minutes from Joshua Tree. Since that town has the blessing of the hot mineral water, day spas and hotels have sprung up. And they focus on rejuvenating and healing. There are about a dozen spa style hotels and many of them have the option for day use. This the option I went with and highly recommend! 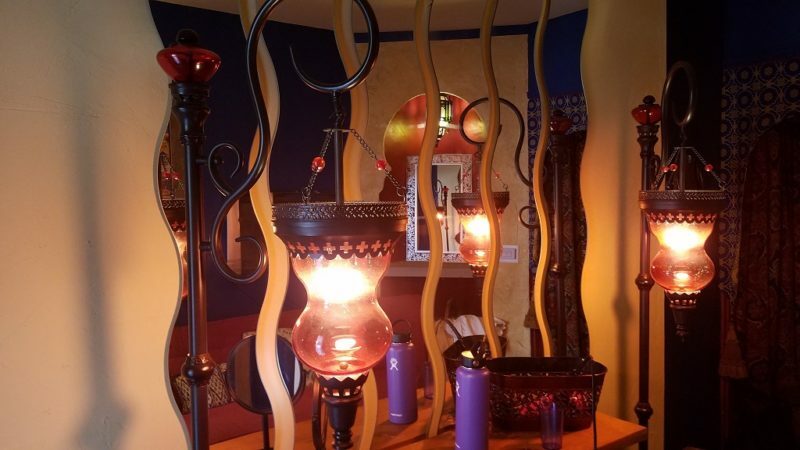 The offerings are extensive, with facials, body wraps, water treatments, mud treatments and massage. Even within massage, the offerings span different healing traditions and styles from Ayurvedic, Thai, Swedish, deep tissue and couples massage. You need a reservation to even be let inside some of these spa hotels, so make sure to call ahead to ensure there is space. Nearby Yucca Valley and the pint-sized town of Joshua Tree also each have a few massage studios. Massages run from $60-100/hour. There are lots of add-ons available as you wish (hot stone, aromatherapy). Anytime you can fit this in, is the right time. But consider putting it toward the end of your trip, after you have been exerting yourself in the desert. You’ll go home feeling like you had a true vacation! This is an adorable spot. Hollywood investors created it out of thin air in 1946 as an on location Wild West movie set. And apparently it looks pretty much the same as it did 70 years ago. Some of the facades are indeed just facades. And others now have shops and art galleries in them. 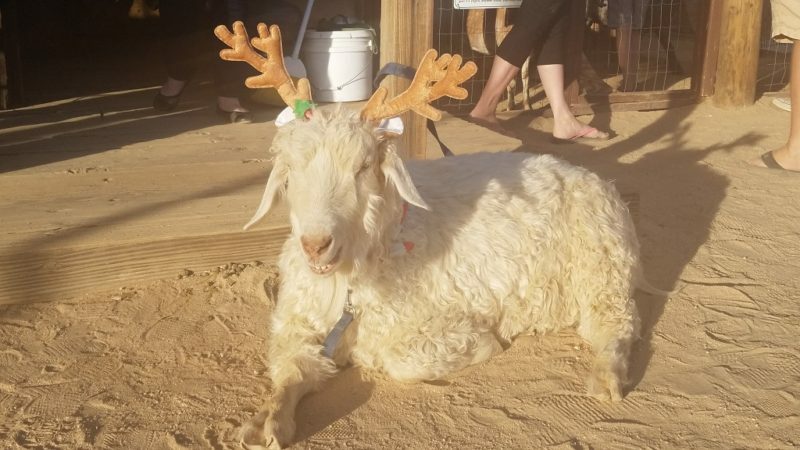 I especially liked the one with goats outside, where the owner busily worked on her spinning wheel, turning goat wool into yarn. 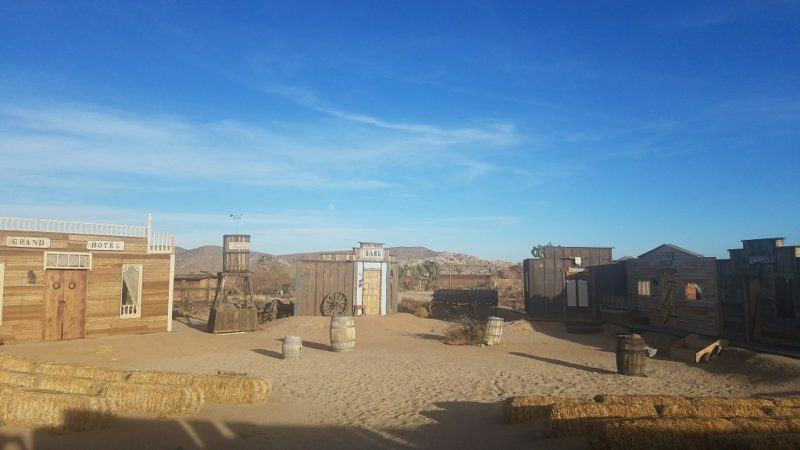 Twelve miles northwest of Joshua Tree, Pappy and Harriet’s Pioneertown Palace is the place to be for entertainment. They feature music almost every night and from what I saw, it will be standing room only unless you arrive an hour before the show. It is wooden, both inside and out and a cozy place to be on chilly desert evenings. 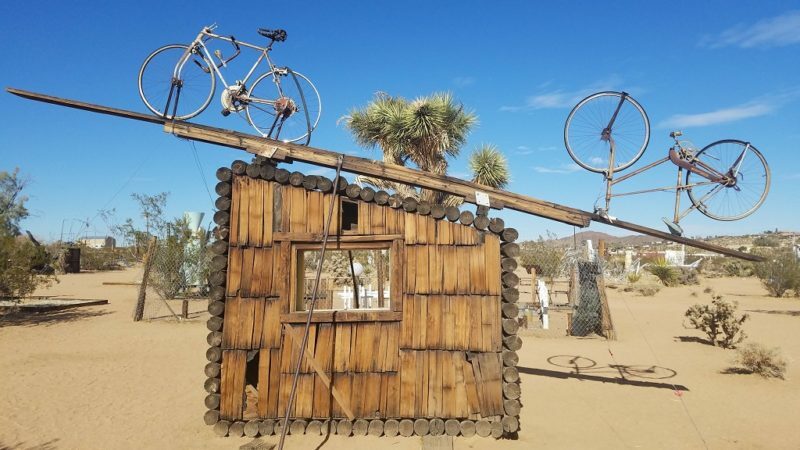 Simply put, the museum, six miles north of Joshua Tree, has dozens of large scale sculptures, all created from repurposed materials. Beauty is of course in the eye of the beholder and while not everything there is beautiful, it is all eye catching. A lot of it was so quirky, it made me wonder what Noah was thinking when he made it. Noah was involved in social justice during his working career, and some of these pieces are intended as a channel for social change. But I am not sure what thoughts were driving the others. Toilet bowls stacked upside down and right side up, a top one another. Bicycles a top ladders and hundreds of cafeteria trays spiraled around a center pole. Some of the art was large enough to form a building, perhaps a theater, or a tool shed. 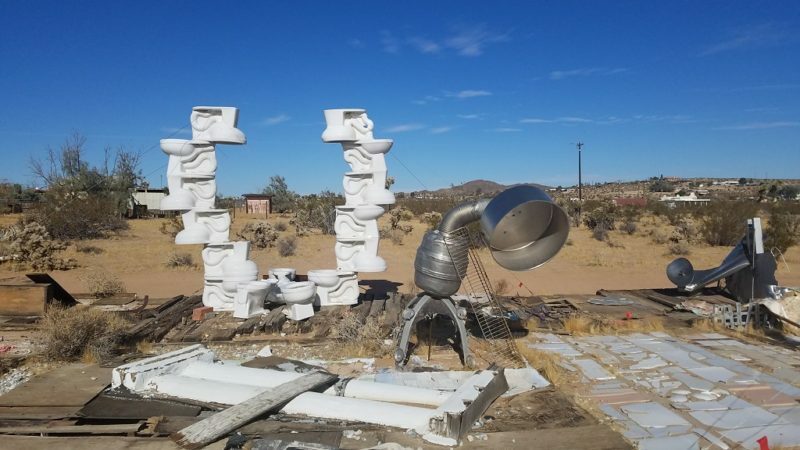 While this is not the type of art to showcase in your home, it has its own charm as a reflection of the type of people who have lived and died in the Mojave Desert. Is definitely charming. It gets even better if you can hit the road shortly after you watch a sunrise early from your hotel or Airbnb. Just south of Yucca Valley is Black Rock Canyon, on the western edge of the park. The High View Nature Trail is three miles round trip. It can be done in one hour. And reward you with breathtaking panoramic views from atop. You’ll even be back down by lunch time, with time for another afternoon activity. It’s the perfect way to dip into the park. 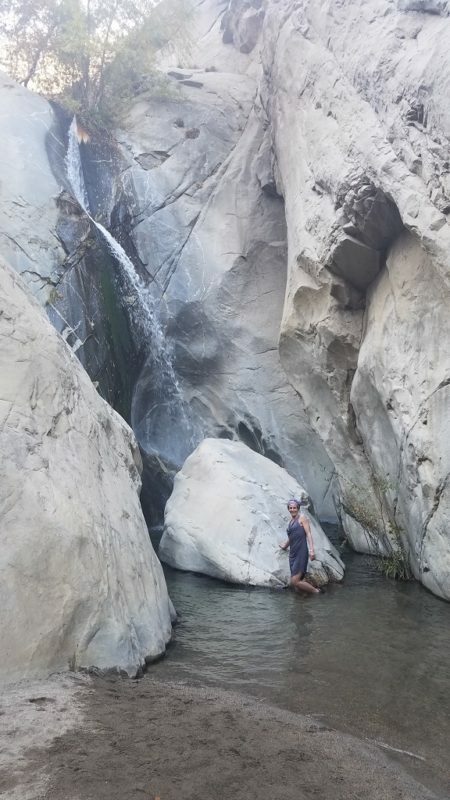 Fortynine Palms Oasis is another three mile hike that can be done in 1.5 hours. The trailhead is reached down a side road on the northern side of the park, before you reach the town of 29 Palms. I like that it started off with an elevation gain and then dropped down into a valley with an oasis. Sitting under the palm trees and looking out into the Coachella Valley was lovely. Of course that meant climbing on the way back, but it gave one more chance to look out as far as the eye can see. I was back in my car and headed toward 29 Palms and Oasis of Mara long before lunch. I love to find yoga studios when I travel. Doing yoga in a group setting connects me to people all over the world who share my love and as it connects us with those who have come before, partaking in this ancient form of exercise. A lot of places I go, I am sad to say there are not yoga studios. But there is a very sweet one right in Joshua Tree that I quickly adopted and made mine. Instant Karma Yoga is located in a cluster of local business and it opens up to a courtyard where people are enjoying their coffee and NY pizza. I attended three classes there in a week and immediately felt like I was part of the Joshua Tree yoga community. The teachers all made a point of introducing themselves and welcoming me to the studio. The studio is just one medium sized room without a separate space for shoes and payment. Just step right in and make yourself at home. Like most studios, the offerings vary based on skill level. 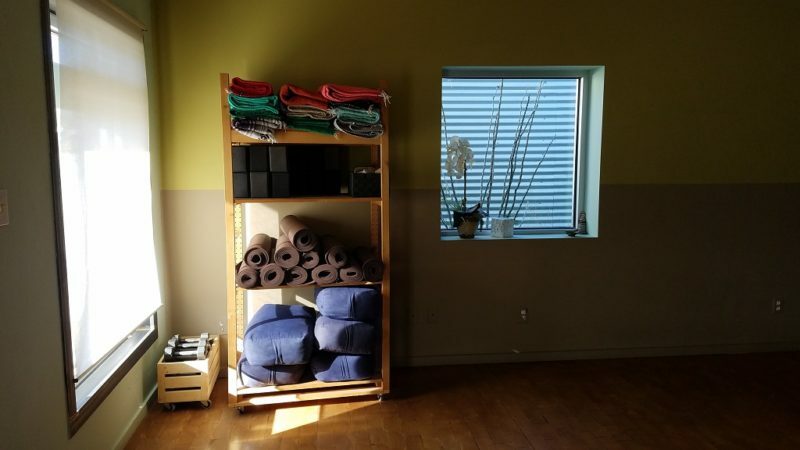 There is an emphasis on gentle and restorative classes. And with the yang energy of the desert (hot and dry), going inside and yinning out for a while was the ideal complement. There are other yoga studios in Yucca Valley and Palm Springs. So by all means, practice flexibility (both in life and in yoga) and check out classes wherever it best works for you. The important thing is showing up and being present, whether at Instant Karma Yoga or elsewhere. This is a good start to getting you immersed in desert charm in Joshua Tree, but don’t be shy. See what other charming things you can discover.